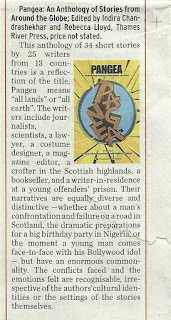 Thrilled to report that 'The Hindu' lists Pangea in its feature 'First Look' on the books and literature page on December 2, 2012. It appears online on December 3 and maybe seen if you scroll down the page. This anthology of 34 short stories by 25 writers from 13 countries is a reflection of the title. 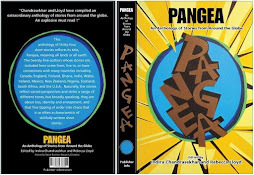 Pangea means “all lands” or “all earth”. 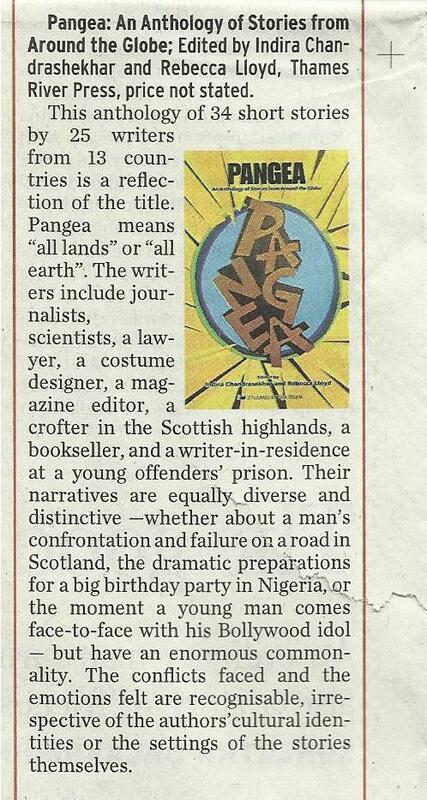 The writers include journalists, scientists, a lawyer, a costume designer, a magazine editor, a crofter in the Scottish highlands, a bookseller, and a writer-in-residence at a young offenders’ prison. Their narratives are equally diverse and distinctive —whether about a man’s confrontation and failure on a road in Scotland, the dramatic preparations for a big birthday party in Nigeria, or the moment a young man comes face-to-face with his Bollywood idol — but have an enormous commonality. The conflicts faced and the emotions felt are recognisable, irrespective of the authors’cultural identities or the settings of the stories themselves. Congratulations! What wonderful news to hear at the start of 2013. I am a friend from Washington DC. How amazing that you saw this. 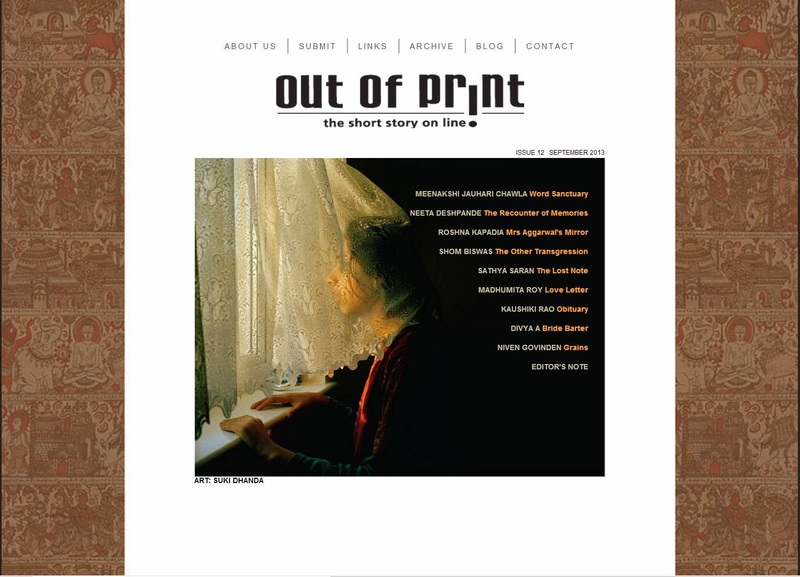 Do send an email through the magazine email id: outofprintmagazine@gmail.com and I'll send you my personal id.